NCERT Solutions for Class 9 English Main Course Book MCB Pdf free download are the part of NCERT Solutions for Class 9 English. 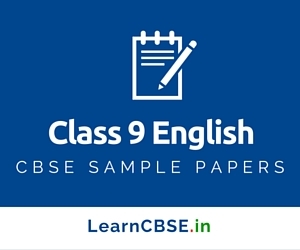 Here we have given CBSE Class 9 English Main Course Book Solutions and Answers of Unit 1 People, Unit 2 Adventure, Unit 3 Environment, Unit 4 The Class IX Radio and Video Show, Unit 5 Mystery, Unit 6 Children, Unit 7 Sports and Games. We hope the given NCERT Solutions for Class 9 English Main Course Book MCB Pdf free download will help you. If you have any query regarding CBSE Class 9 English Main Course Book Solutions and Answers of Unit 1 People, Unit 2 Adventure, Unit 3 Environment, Unit 4 The Class IX Radio and Video Show, Unit 5 Mystery, Unit 6 Children, Unit 7 Sports and Games, drop a comment below and we will get back to you at the earliest.